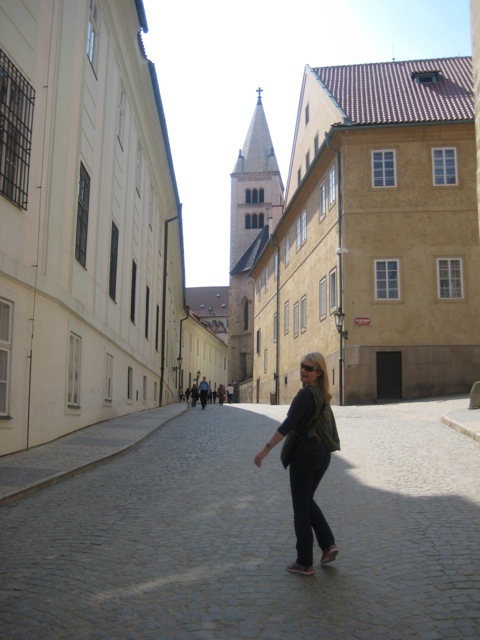 Fresh off the train from Budapest (the highlights being a cabin to ourselves for the 6 hour trip, and catching sight of a naked man sitting in the window of his apartment block right next to the tracks) we took a tram to our hostel, the Czech Inn. 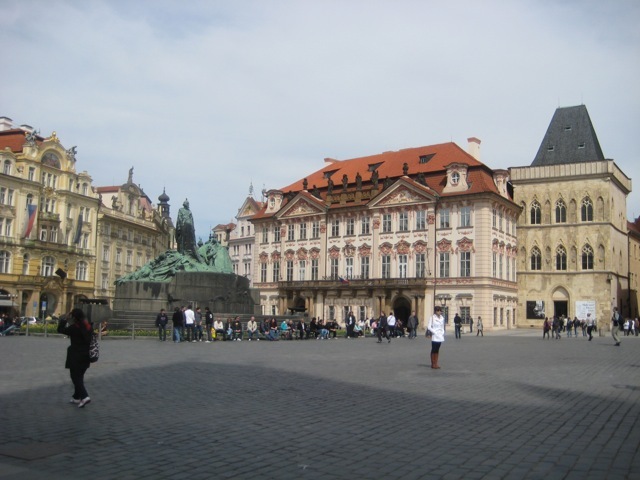 After czeching in, we were bursting to check out what is arguably one of Europe’s most beautiful cities. First stop- Sandeman’s New Europe free walking tour. 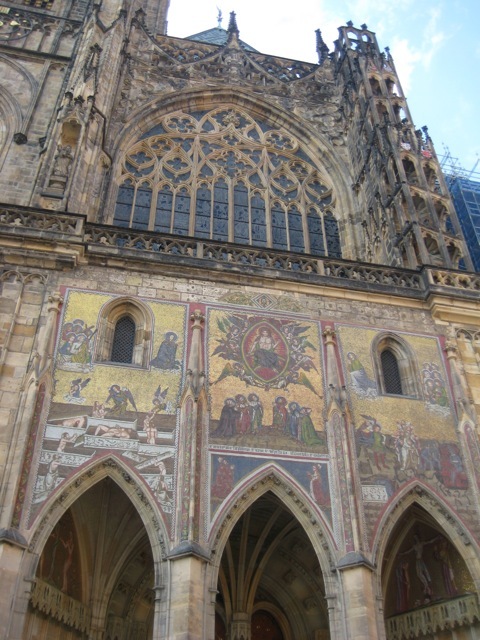 Having blessed the Hungarians with ‘Hungary Eyes’, Aimee and I decided we needed a special move for the Czechs. So every time we, or someone else said ‘check’ (that out) or ‘Czech’ (Republic) we put our hands up beside our heads and kicked out a leg. 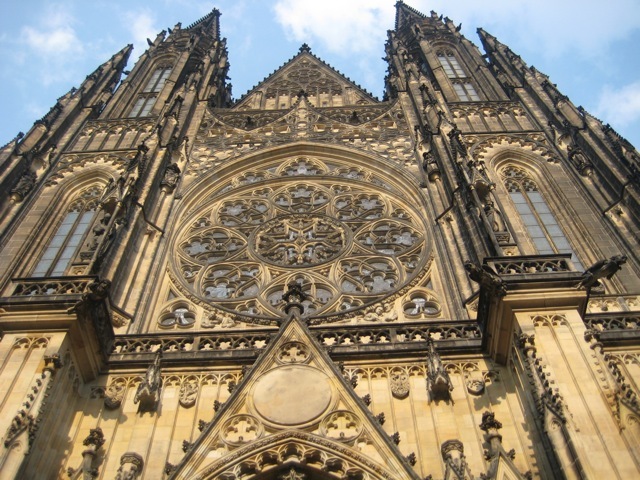 In a two hour walking tour, you’d be amazed just how many times you need to check things out done by the Czechs. With repetition, our trade mark move started to look more like the dance from Michael Jackson’s Thriller. A word of warning- you can’t undertake a venture such as this without a significant commitment. Aah, travel harmony. Just like me, Aimee is a stayer for the ridiculous. We both may come home with RSI, but hey it’ll be worth it. It was also the scene of two of the worlds known occurrences of ‘defenestration’ which is code for throwing regime resistant priests out castle windows. (They survived, incidentally, because they landed in large piles of horse manure). While at the castle, we stumbled upon the changing of the guards. Like the Queen’s guard in England, guards must stand immobilised for extended periods of time. We decided to brighten up their day by providing a little entertainment. 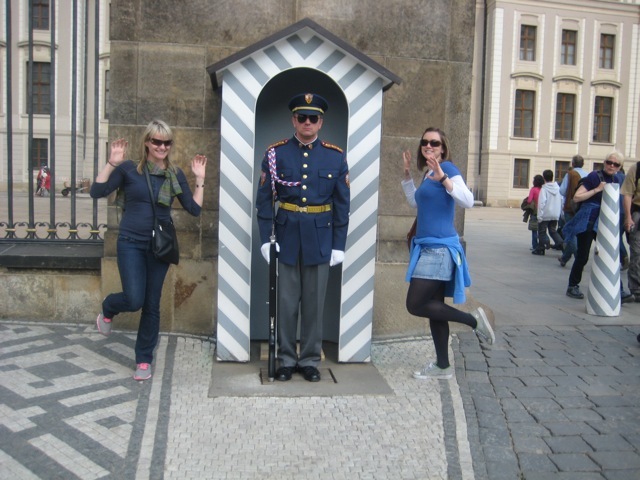 We stood, lone tourists, in front of two guards for 45 mins and delighted them with, among other things, our now famous-throughout-Prague Thriller moves, Hungary Eyes, the miming of a male strip tease and finally, some military style marching. What can I say- you do what you can to make the world a happier place. 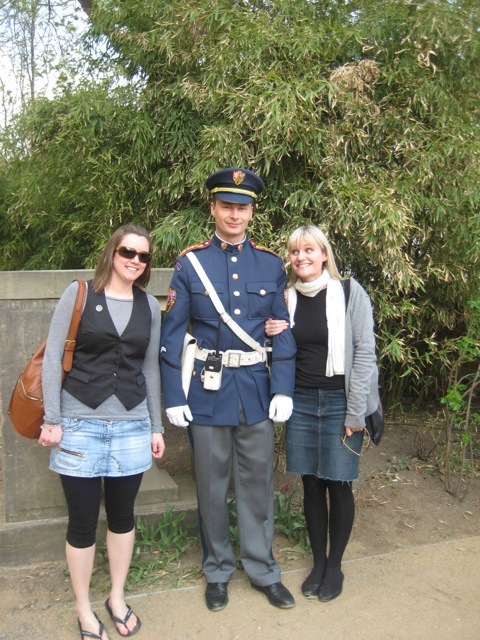 I'm sure the guard loved me giving him a wee cuddle- and who doesn't love a man in uniform? I’m told by ex-pats here that the lack of smiles is because of the country’s long history of occupation, most recently by the communists. There were about one in three people reporting any seeming resistance to communism, and there are many well known buildings where people would be tortured and imprisoned in solitary confinement on the smallest or even no provocation. Apparently, the older generation believe the communists are still secretly in power, so it may take a few more generations for suspicions about excessively smiley strangers to fade. 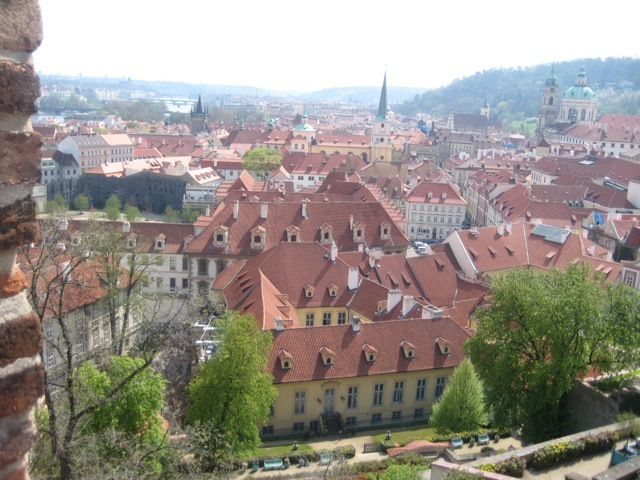 Join me for part 2, wherein you’ll find out why Aimee and I had a little trouble czeching out of the Czech Republic, and what on earth the story has to do with Chiwawas….